A basement is NOT a basement until it is AMAZING! 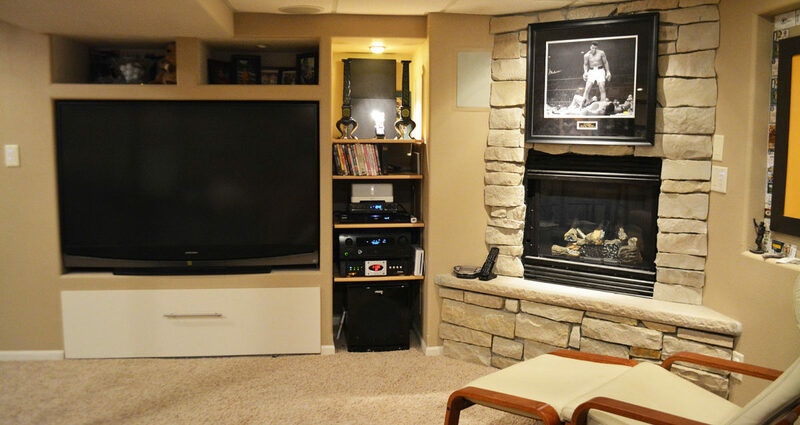 BC Neville Tech designed this basement family room A/V installation for the entire family to enjoy. In-ceiling speakers surround the room. A 70inch Mitsubishi television is mounted on the wall. All of the system components (including a Velodyne subwoofer) are stowed cleanly in a custom built-in cabinet.